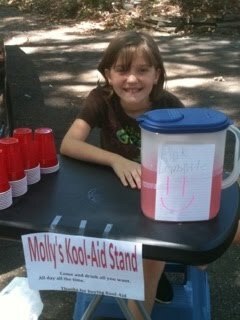 Here is a picture of Molly Grace and her Kool-Aid stand. She only sold two cups (besides family members), but she enjoyed herself. She initially thought she would send the money to Japan, but now she’s not sure where she wants to send it due to all the tornado victims right here in the US.